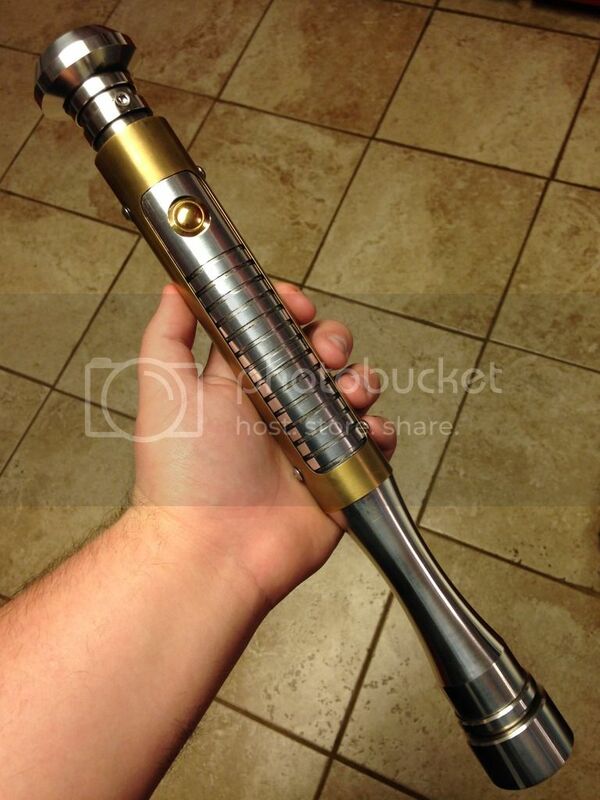 I'm looking to add sound to my new saber and I'm not to sure where it would be best to mount the speaker. Might have more resonance mounting higher up? Personally I have my speaker about 1.36 inches from the bottom own my saber, and that seems to give me a good enough sound for my taste. Although keep in mind I'm still new to the saber building scene . I would just take about my pieces and experiment as needed. Maybe someone else with more experience can comment. Best of luck. Last edited by rlh14; 11-23-2015 at 09:52 AM. Now that sounds like an interesting read Greenie, can you remember the name of the thread? I really like the concept of having the sound come from the blade end. Wonder if anyone has tried running 2 speakers? 1 in the pommel and 1 in the choke? Thats mine! but anyway speaker in pommel is the standard it just the easiest way about it. Whenever you put the speaker anywhere else you have to negotiate wire around your speaker. Depending on how many wires that is and what gauge the harder that can be. As far as realism goes I think reverse sound would be the most realistic but not always feasable for all builds. If you do go in pommel the further away from the opening you go the more pronounced the bass will be but you will sacrifice clarity. I think and this is just a guess, if you were to put you speaker way up past the choke you would get a really muffled sound its just so deep in the hilt you might want to vent your hilt closer to the speaker. Also with you pommel so far down the hilt it may sound kinda weird having you sound coming so far from the main part of the hilt.